Yesterday was my Brenden Day. I took him to a fruit stand in the morning to buy a pumpkin. I saw that it would be the perfect place for a few pictures, but the morning sun was too hot and bright. 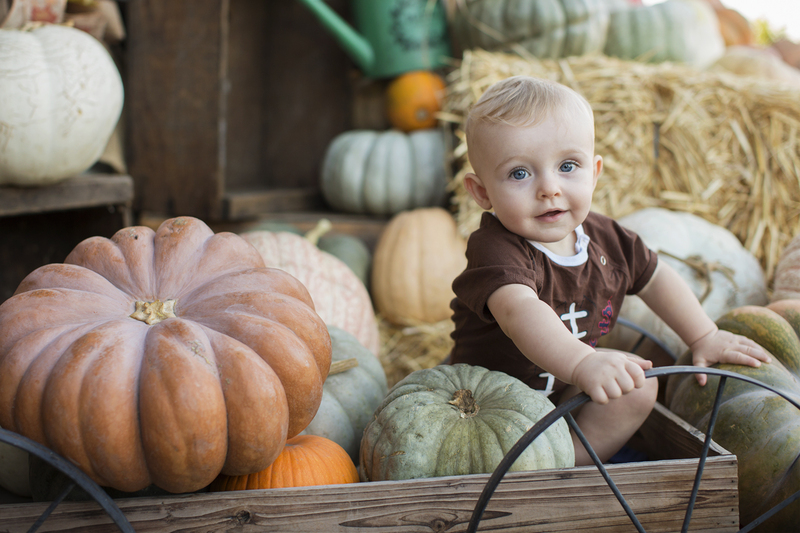 Plus, when taking pictures of a baby/toddler you really need a spotter… especially if you are going to be sitting them precariously on a pile of loose pumpkins! When we got back home I couldn’t get this perfect picture setting off my mind. When Shawna came to pick up Brenden I asked her if she would mind meeting me at this Fruit Stand around 5:30 for a few quick pictures. She was on her way with Brenden to a Mommy & Me yoga class that she teaches and she has been fighting a bad cold. She probably just wanted to go home after yoga and crash but she happily agreed to meet me to take pictures. Thank you Shawna for understanding my obsession to take pictures of my grandson. Well worth it! They are awesome pictures! 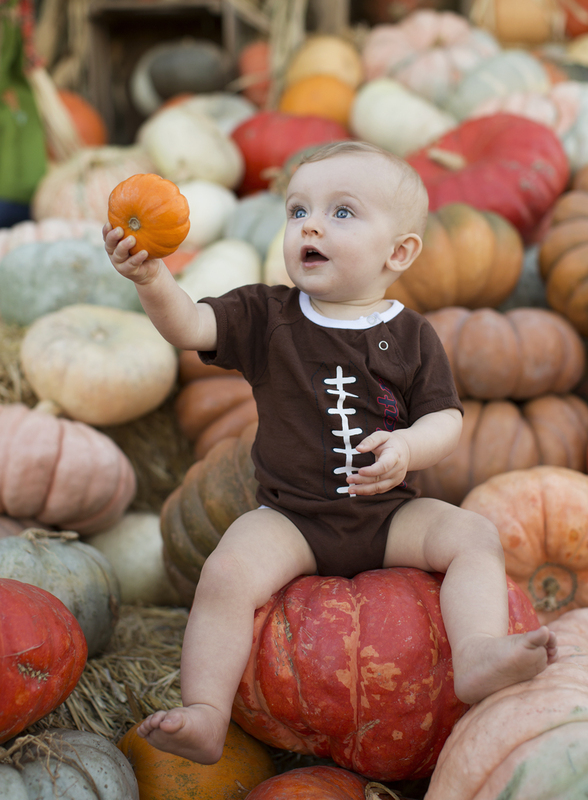 That is the perfect pumpkin, whoops, I mean cutie. Which stand was this? 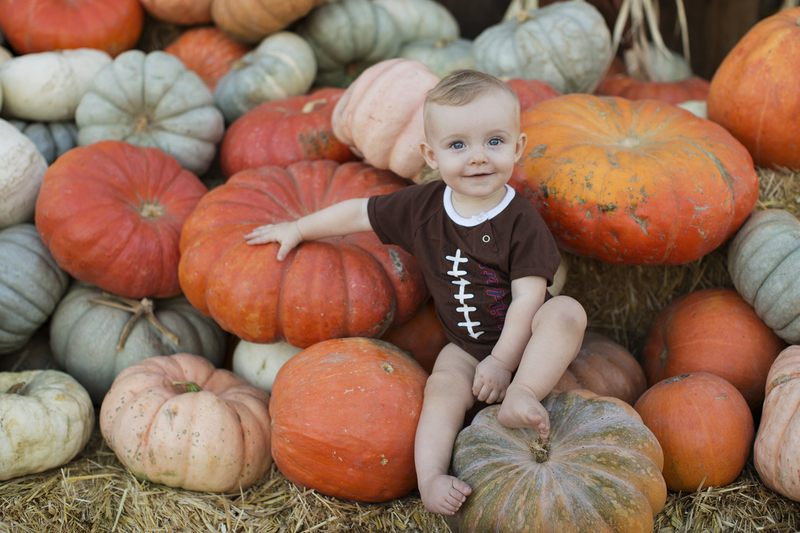 Love the variety of pumpkins! The fruit stand on Oakdale and Clarintina … Rodin Farms or something like that (by the Riverbank Shopping Center. I wouldn’t miss an opportunity for you to take pictures of our little love bug – we are so blessed to have your talent and creative eyes to capture these sweet moments! Watch out… next year he’ll be climbing to the top of the pile!! Cute pictures, and he is a really cute little guy. 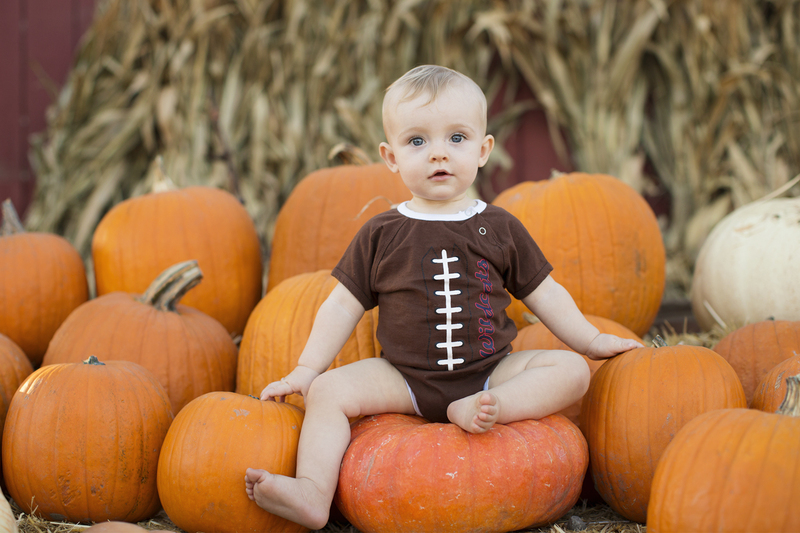 Such a cutie (pumpkin) pie!